I have loved multiple points of view novels since I first encountered them as an adolescent. Experiencing a story from many angles created a deeply immersive reading experience for me. My eyes were first opened to this style of storytelling when I read Dune by Frank Herbert. His saga wove together the experiences of many people and mixed their internal thoughts with dialogue. As a writer, I was entranced by the possibilities. In school I learned that this type of past tense writing that used multiple points of view was called third person omniscient. The author was all-knowing and could use many characters to express the story. This is the primary style I have adopted as a novelist. Since entering the world of fiction publishing I’ve learned that some readers do not like this style that is often labeled head bouncing or head jumping. The style can be confusing to some and prevent them from building a sufficient connection with a main character. I understand people’s tastes vary, but I know what appeals about this style to me. I find that it creates a movie-like experience in my head because I can see and experience so many of the characters. Even if a film seems to be told from a single point of view, the inner thoughts and feelings of the other actors come through in this visual form and reveal their points of view too. From this expressive tapestry I mentally create more points of view. Readers who enjoy my novels have commented to me that the stories play like movies in their imagination. This is certainly how I see them too, and my task in writing is to capture my visions so that other people can experience them. I use multiple points of view to progressively build a multidimensional story from the experiences of the characters. Do I think that third person omniscient writing is the best style? Not necessarily. There are many brilliant first person novels. A famous and classic example is the novel 20,000 Leagues Under the Seas by Jules Verne. Despite the first person magnificence of this science fiction masterpiece, I still dare to imagine what could have been gained if we readers had been granted direct access to the point of view of Captain Nemo. This amazing character is a madman you can admire. His provocative rejection of terrestrial life too often made me forget that he was dangerous and deluded. A deeper experience with his point of view might have made the novel even more powerful. I understand that first person stories can reveal multiple points of view, but it’s always through the eyes of single character. But if that main character is not strong enough for me as a reader, then I don’t have anyone else to fall back on so I can hopefully still enjoy the novel. Multiple points of view give me more ways to get into a story. Sometimes I even wonder if third person omniscient writing is lazy. The thought of writing a first person single point of view novel really intimidates me. Maybe someday I will attempt the challenge, but until then I will keep head bouncing. I can’t forsake the orchestra and choose a single instrument. All hands on deck is my standing order when it comes to telling stories. I invite readers to get to know my motley cast of characters in either The Rys Chronicles or Rys Rising fantasy series. 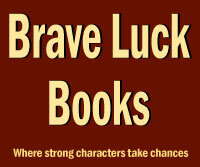 Visit Brave Luck Books http://www.braveluck.com to find out everything about my 8 novels. You can download free samples, enjoy bundle discounts, join my readers’ list, and find links to your favorite ebook retailers. Tracy has a special blog tour/review PROMOTION going on from July 8th through July 12th!!! You have a chance to win a $25 AMAZON gift card. 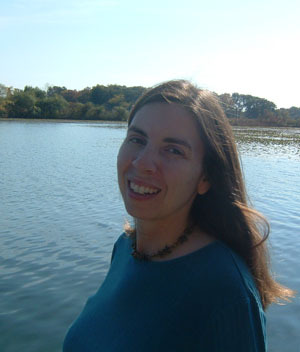 Thank you Jill for publishing my thoughts about third person omniscient storytelling. It's always been my favorite form. Jill, I've always loved 3rd omniscient the best, too. It gives me a better feel for the overall world, and like you said, it feels more like a movie. Glad Harry Potter wasn't done in first person. Well, I guess Harry Potter proves that 3rd person is popular.